This image has been loaned to us by Bethan Holdridge and comes from a collection of WW1 photographs belonging to Julie Brown. The collection has been in the family for several generations and seems to have originated from Oliver Brown (J.B’s grandfather on the maternal side). The only information we currently have about him is that was born in Hadleigh and during the First World War he accompanied an official war artist. 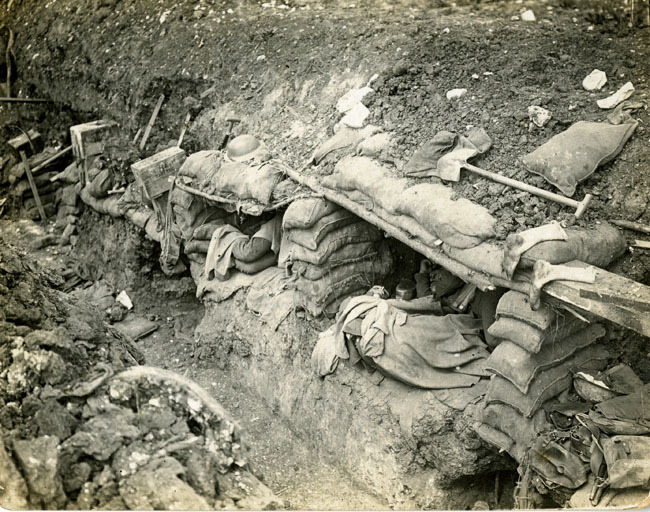 This entry was posted in Local collections and tagged poor conditions, soldiers, trenches, WW1. Bookmark the permalink.